In this article I’m going to explain cheque issue procedure within the office for any kind of payments (RD closure, PPF withdrawal, NSC/KVP discharge, PLI maturity payment etc). Head post offices or LSG offices are eligible for issuing cheque for these kinds of payments. 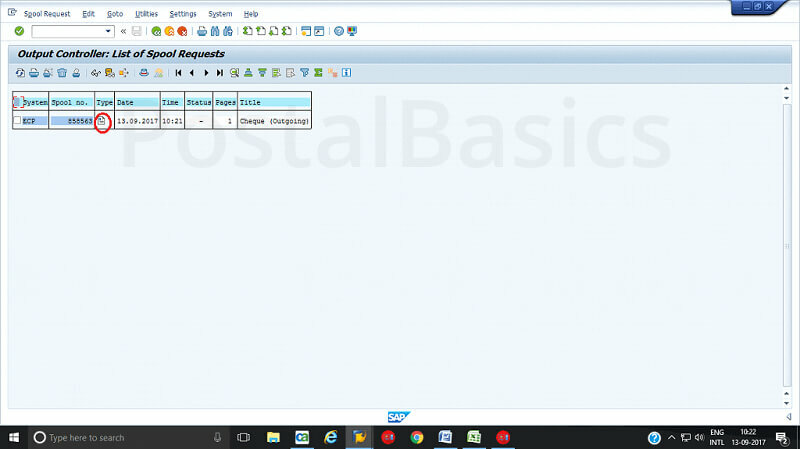 For example, when a customer comes for RD closure and he demands for cheque instead of crediting to his SB account in the same post office then, the Postal Assistants in the counter will create a cheque request in SAP module as I have explained in previous article. The Treasurer will issue the cheque for respective payment. 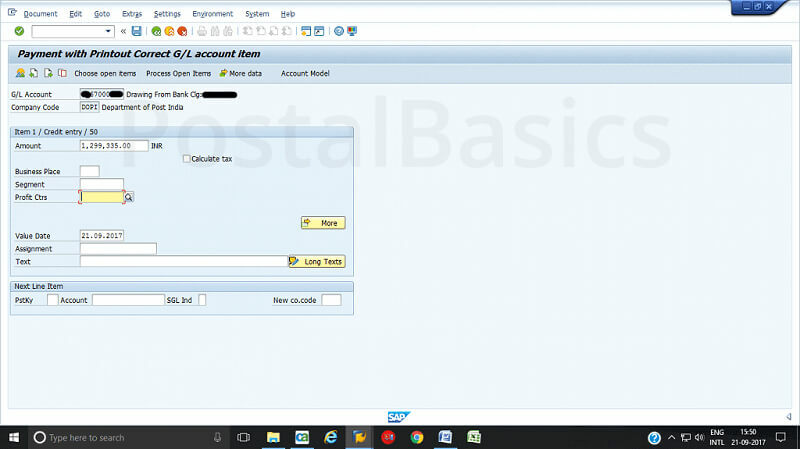 How to issue a cheque in SAP? 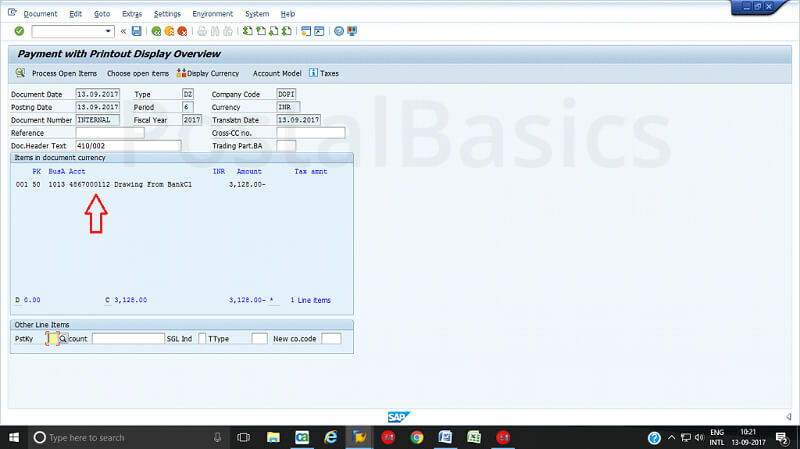 Now, click on Enter Payments on the top of the window. You will redirected to below window. Clearing text Type related to transaction or a/c no. 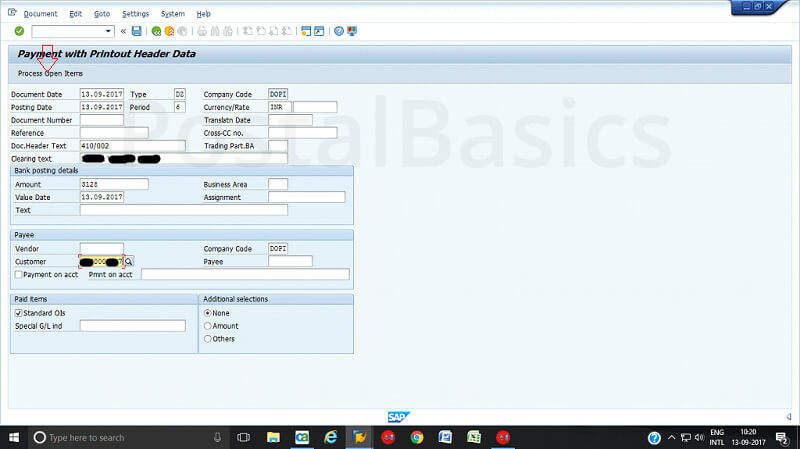 Now, click on Process open item, the following screen will appear. 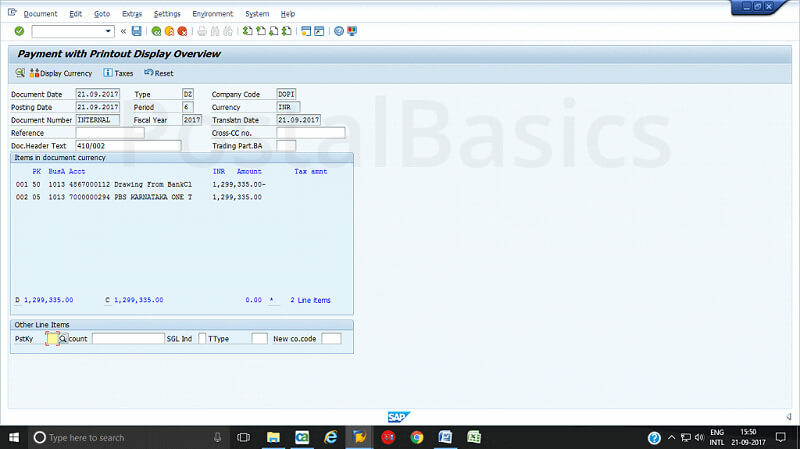 Here, the entered amount and assigned amount should be same. For that, you have to follow these steps. 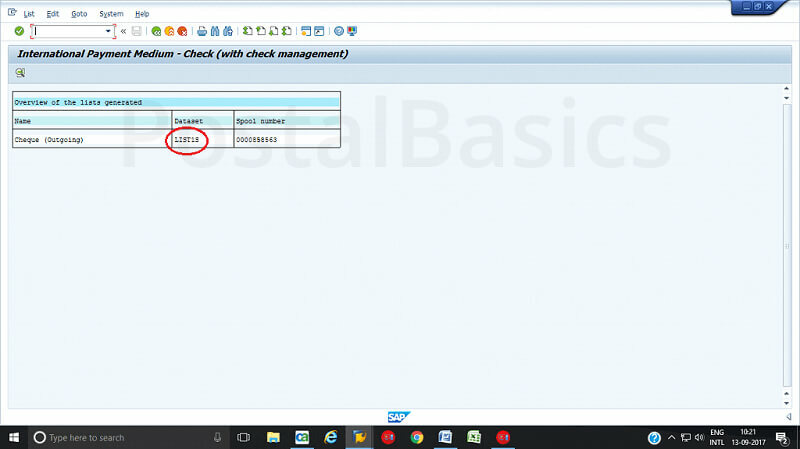 First click on select all (3rd icon), Next, click on de-active items as shown in figure. Now, the assigned amount will be zero. Here is a screenshot depicting the same. 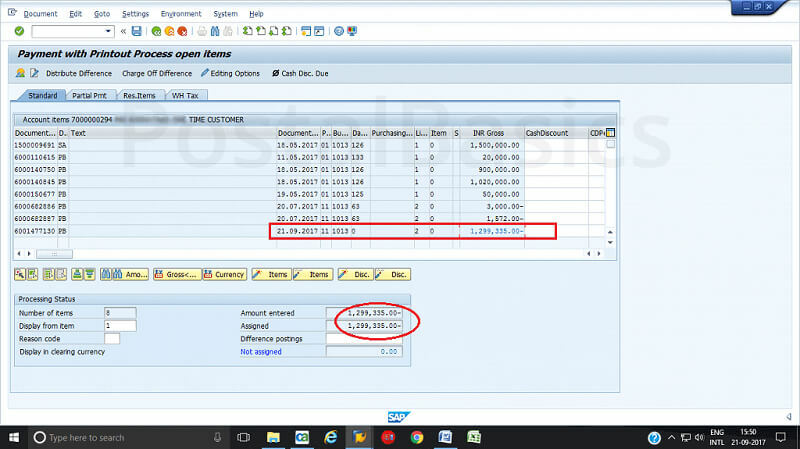 Now, you should select the amount from the list so that it will tally with the amount which is entered. 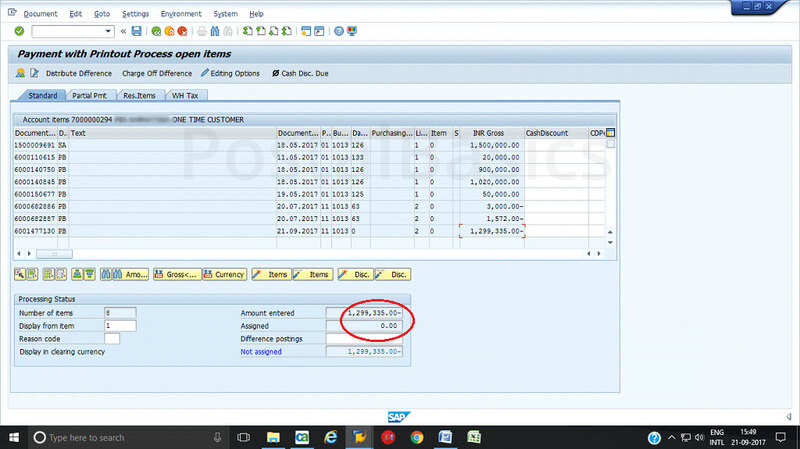 See the below screen where both amounts are equal. In this window, you will see only one entry on the screen that is drawing from bank. 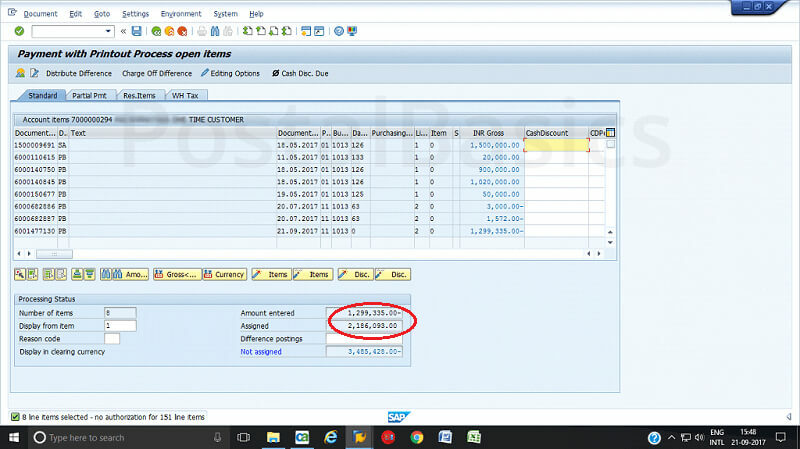 In order to complete the work, click on that credit entry. You will see this pop up. Here, enter the profit center number of you office. Then click on Document » Simulate. The following window will appear. Click on save. Now, a document will be generated. Click on ✓ mark. A new window will pop up. Click on Lists. The below screen will appear. Click on the document icon. Now this screen will appear. 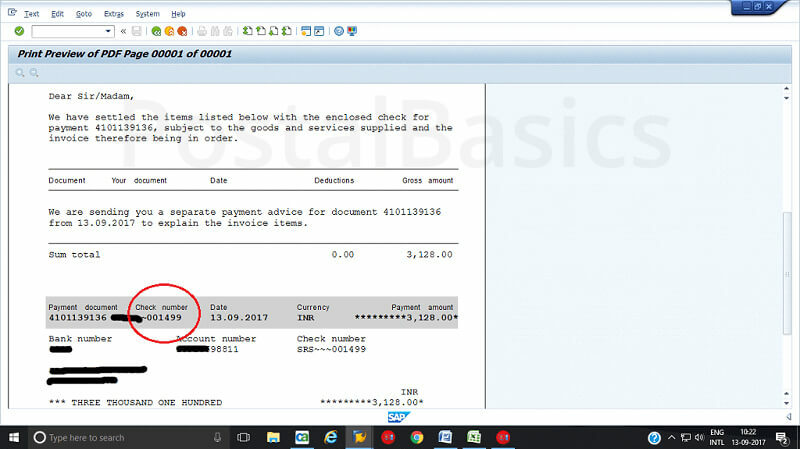 It is for the confirmation of cheque number used for this payment. 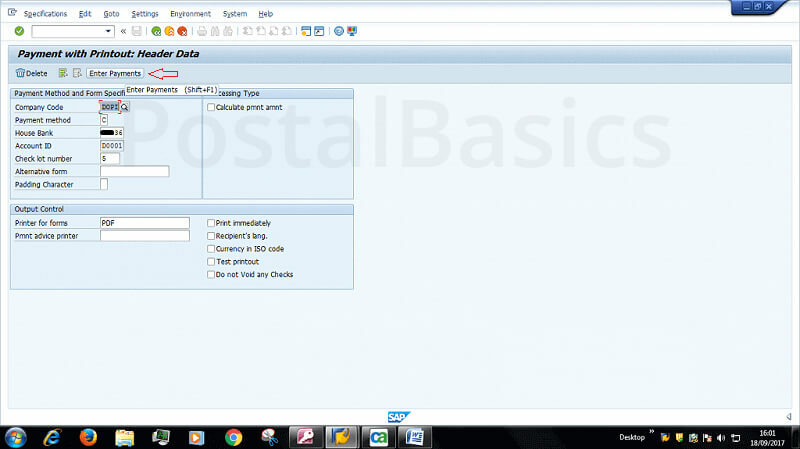 This is how you can issue a cheque in SAP. Please let me know if you have a suggestion, in the comment section.